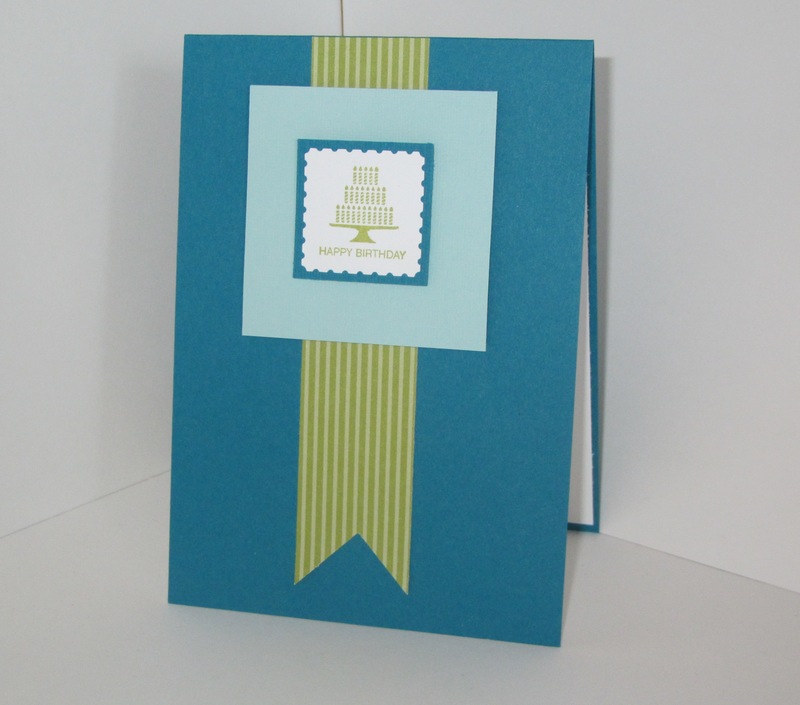 I have a quick 10 minute birthday card to share with you today. I think this colour combo Island Indigo, Lucky Limeade and Pool Party is great for masculine cards. The image is from the Pretty Postage stamp set, and was punched out with our postage punch – super easy! Its here! the best time of the year! Sale-a-bration and the new occasions catalogue 2016 are now live! Holiday Catalogue retiring list is here along with a fantastic 20% off Sale! All content is the sole responsibility of Anna Mathieson, Independent Stampin' Up!® Demonstrator and the use of and content of the classes, services, and products offered on this web site is not endorsed by Stampin' Up!® All images on this site unless stated otherwise (c) Stampin! Up!